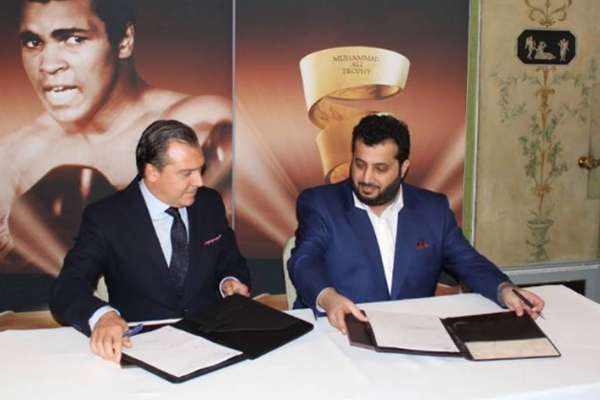 The Saudi second city, Jeddah, will next year host the arena for World Boxing Super Series (WBSS) cruiserweight final, following an agreement between event owner Comosa AG and The General Sports Authority (GSA). The agreement signed in London on Tuesday underlines the Sunnite-led kingdom’s broader commitment and work to develop the sport of boxing, said Turki Al-Alsheikh, President of the GSA. Alsheikh also noted that next May event lays the ground for further major events to take place in the kingdom next year. Both partners have not defined the venue of the final yet. Jeddah will be the first venue for the WBSS to introduce the Muhammad Ali trophy. The championship has been underway since September with three of the quarterfinals in the Cruiserweight already fought.